It is drawing technique which involved silver rod or wire, special base like sort of chalk on vellum and a lot of skill. Silverpoint drawing technique was pretty popular in medieval times but was slowly replaced with easier and more forgiving techniques when graphite became available across the Europe. 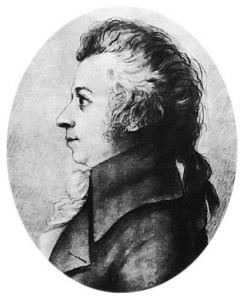 Silver was competing with charcoal from the very beginning. Drawing with charcoal was of coarse more popular, there was no need for special preparation of paper (or skin) and results were available instantly, yet silver (or other soft metal like lead or tin or zinc) offered much more precise lines and the final result was more durable too. No wonder this kind of art was popular among goldsmiths and top artists who can use it to show their mastery to impress their costumers. Silver was the only one of available metals changing its metallic color into warmer brownish, the consequence of reaction of silver with sulfuric compounds in air, but this reaction needs time varying from months to years before the final shade could be seen. Next ‘complication’ was purity of silver because it often contained more than 20 percents of impurities (copper, tarnishing in greenish tones, being in the first place). 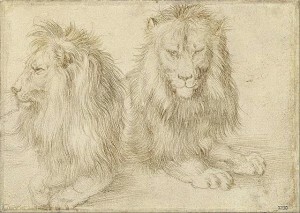 Many famous artists used silverpoint technique to create popular drawings. Let’s mention at least da Vinci, van Eyck, Duerer, Raphaelo and Rembrandt. The base, where the metal was leaving traces, was coated with chalk or bone ash, the later sometimes made directly from the remains of the artist’s dinners. Although silverpoint drawing technique for many resons will probably never be so popular as it was before the history of graphite pencils started, it can still offer spectacular results and is, considering how much discipline it demands, one of the top choices for artists who want to maximize their skills.